Capture the hearts and stomachs of diners with this zesty salmon dish that’s beautifully flavoured with herb paste, tomato sauce, lemon, garlic, and onion. In a pan, sweat garlic and onion till fragrant. Add in Knorr Italian Herb Paste and sweat till fragrant. Add in Knorr Tomato Pronto, water and bring to boil. Fold in lemon juice and set aside. Preheat steam oven to 70 degree Celsius. Cut baking foil into 5cm by 5cm. 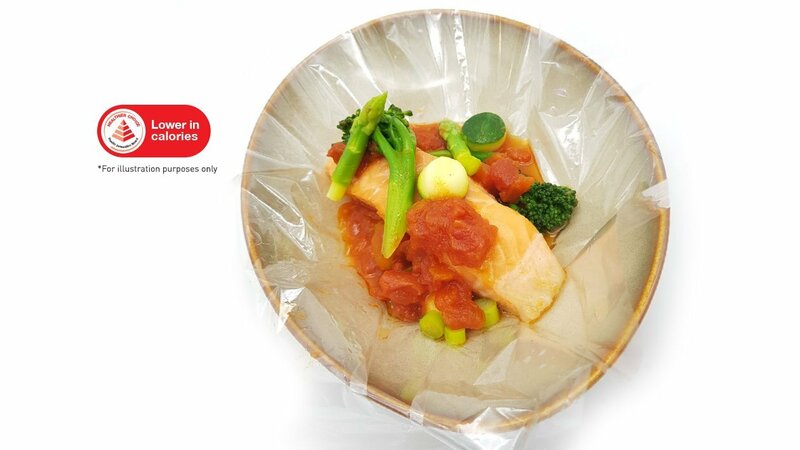 Place salmon, vegetables and 100gm of sauce into the foil. Wrap and steam for 12 mins.